Today was the peaceful protest in the city of Dnipropetrovsk. It was about 5 thousand people came to the city’s park and then they came to Dnipropetrovsk Regional Administration and Dnipropetrovsk Regional Council. People demanded from Dnipropetrovsk Regional Council to cancel the decision which supported the amendements adopted by Ukrainian parliament, which supported president Viktor Yanulovich and Ukrainian government. People said that those amendemets are completely disagree with Ukrainian constitution and with European and international legislation. Finally people elected three activists for negotiation process between protesters and Dnipropetrovsk Regional Council and Administration. Those three people – Andriy Denysenko, Vadim Shebanov and Pavlo Khazan – had the very short chat with the vice-chair of Dnipropetrovsk Regional Administration mr. Krupsky. 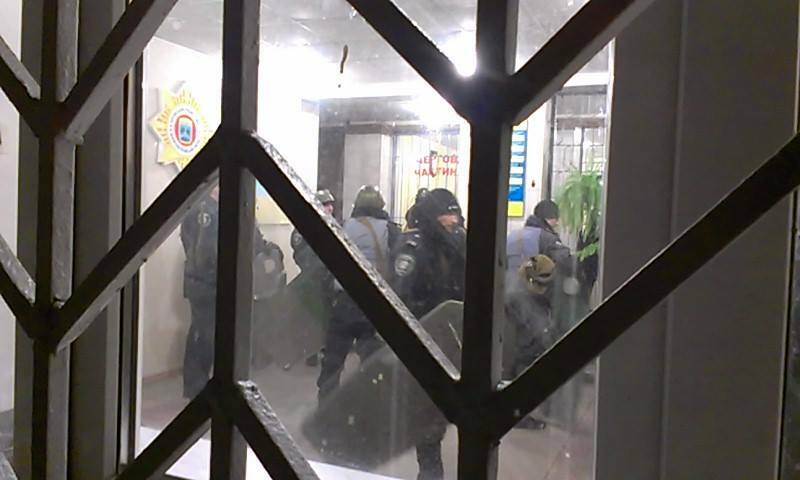 They demanded to make the safety conditions for people because people found a group of very agressive and criminal people collected inside of the building of Dnipropetrovsk Regional Administration. And he promised that those criminal guys will be arrested. But unfortunately the activists started to be arrested. One of negotiators Vadim Shebanov was arrested and now he is in the departament of police. We call for all international support, we call for Friends of the Earth group to support us with this situation because Vadim Shebanov is well-nown Dnipropetrovsk activist, member of Friends of the Earth Ukraine, chair of one of sport associations, public activist and former deputy of Dnipropetrovsk city council, who try to open negotiation process between protesters and Dnipropetrovsk regional council. We call for solidarity and support. We would like to have democratic and peaceful situation in Ukraine.